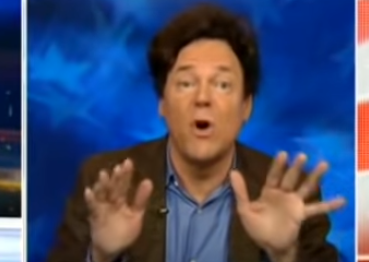 Last week, Cornell University law professor, Robert Hockett, who counsels Alexandria Ocasio-Cortez (OAC) on environmental initiatives, admitted that he falsely told Tucker Carlson that the her New Green Deal did not include a provision to subsidize people who are “unwilling” to work. 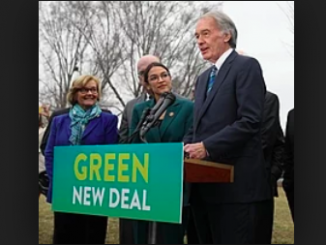 OAC’s support staff admitted to sending a fact sheet to NPR that stated that the program will provide “Economic security for all who are unable or unwilling to work.” On Monday, Tucker Carlson reported that the official Green New Deal resolution does, in fact, guarantee “economic security for all people of the United States.” The resolution also calls for free education and rebuilding all the existing buildings in the country. The Congressional resolution is linked below. 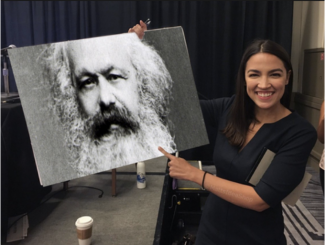 ‘Democrat Socialist’ Alexandria Ocasio-Cortez, Explains Her Political Platform. It Is Merely A New Name for Marxism. Alexandria Ocasio-Cortez advocates for for free health care, free college tuition, subsidized housing, open borders, tax-supported renewable energy, and a minimum wage for everyone. To fund these programs, she calls for the ultra-wealthy should pay their fair share, and corporations should pay a 28% tax rate, to collect $2 trillion. She is clueless that corporations never pay taxes, because every penny of what they pay is passed on to the consumers of their products and services in the form of higher prices. 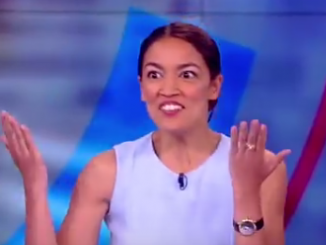 She is totally clueless about economic fundamentals in spite of her degree in Economics at Boston College – or perhaps it is BECAUSE of her degree.